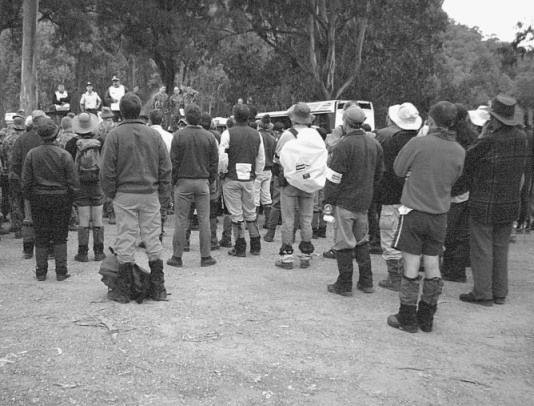 Prior to the commencement of each day’s searching, a briefing will be held and each group allocated a search area. The whole group will probably be briefed in a general way by the FO. Then each group will be briefed by its leader on such matters as general arrangements (if this has not already been done), basic radio arrangements, call sign, transport, re-grouping (if the group is split), the type of search technique to be used, collaboration with adjacent groups and arrangements for excess equipment left at search base. Ask any questions prior to leaving the briefing – not over the radio later.